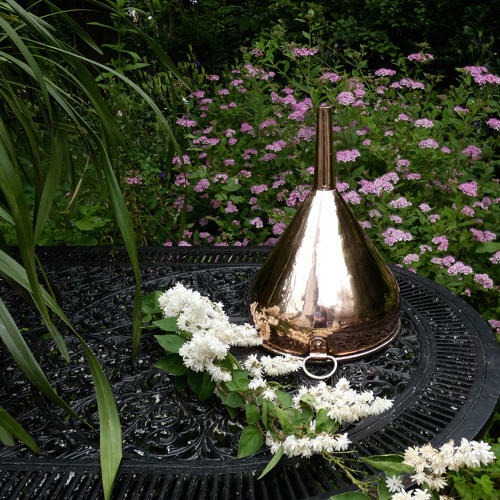 A large, 19th century copper funnel. This piece is well made, from a very heavy gauge of copper. It has a castellated seam down the side and it dates from c.1840. There is a brass hanging loop attached to one side by a simple copper fitting. The funnel was probably just for general kitchen use. There is very minor denting, from use, but it is in very good condition. The interior has not been re-tinned but the tinning is still good enough for it to be used. Price includes postage within the U.K. Shipping to the U.S.A. add £35. Western Europe add £20.